Completed 1936 as Macoma for La Corona. 1943-1946 served as MAC 7, conversion to Merchant Aircraft Carrier (MX) by Palmers Hebburn Dry Dock Hebburn. 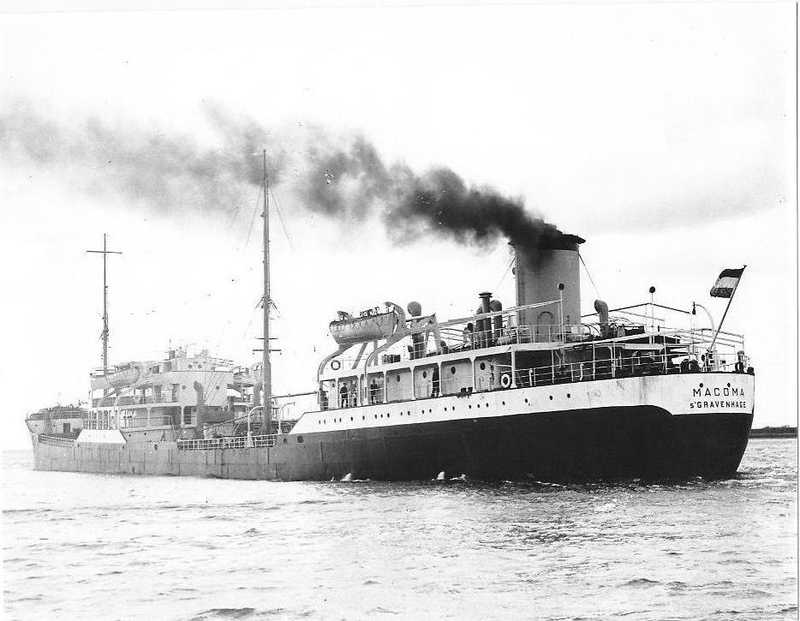 4-12-1959 arrived Hong Kong for scrapping. 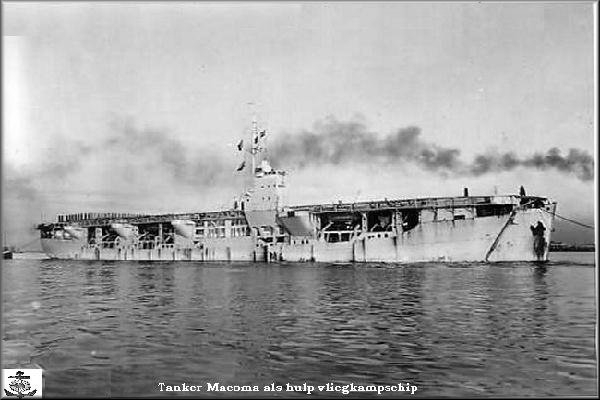 My father served aboard the Royal Dutch Shell tankers Macoma and Gadila with Netherlands Squadron 860. They ran anti-submarine, convoy air cover using Swordfish Mk2's between Maydown and Nova Scotia. On the return trip the Swordfish were stored on the 420ft wooden flight deck whilst the rest of the deck was filled with American fighters and munitions and the hold was filled with fuel oil. 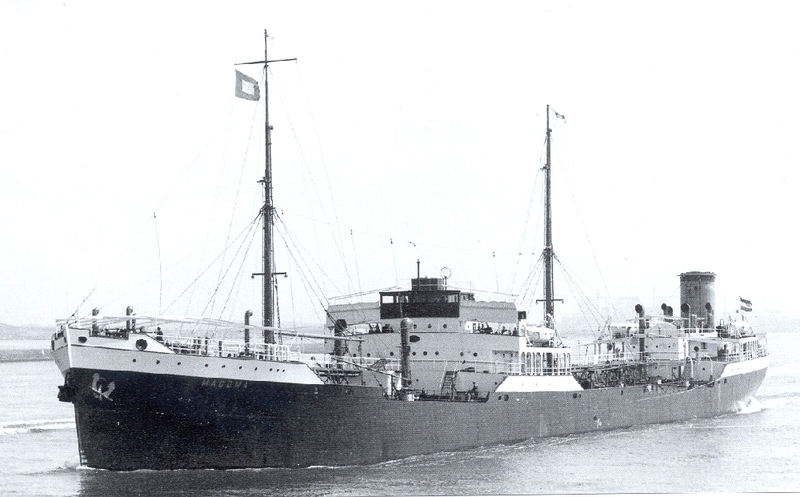 The ships unloaded at Greenock and returned to Maydown. The ships were given the title at the time of HNLMS in English, HrMs in Dutch. 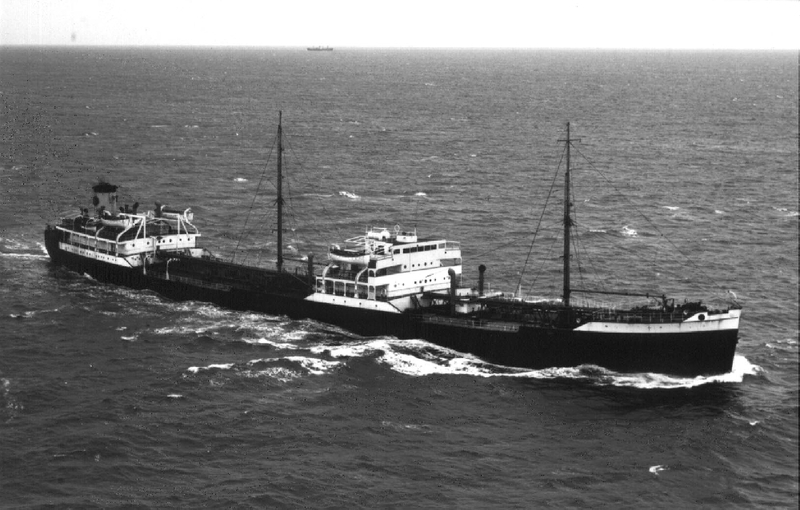 Although they where converted to the style known as MAC and sometime referred to as MV they did not fly a merchant flag but the Netherlands flag making them war ships. My father said they where the first Dutch aircraft carriers but they never get a mention in the ships included in war time operations. The ships were under the control of the Dutch Fleet Air Arm not merchantmen. The Dutch government never awarded any medal recognition to the crews during the Atlantic operations and due to them being Netherlands Naval Ships they did not fall under the Atlantic service recognition given by the Royal Navy. Have you sailed on Macoma (1)? Log in and add yourself as a sailor to the Macoma (1)! Log in and add your personal story to the Macoma (1)!